According to Google, nearly 50% of people aged 25-34 use their phone to shop online while they’re actually standing in line waiting to pay for something at a brick and mortar store. This holiday season will be the most mobile-driven ever, Google says, with shopping searches coming from smartphones already up 3.5x year over year with further growth expected. As of this week, searching for a product on your mobile device will bring up more detailed information within Google’s Knowledge Graph. Shoppers will not only learn more information about the product, but also where to buy it, who has it in stock, and what other customers think about it. Google has also introduced a unique 360 degree view of the product so you can take it for a spin and see it in greater detail before deciding to buy it. That’s interesting, but what products are people searching for? Google has you covered there too. They've done the work for you by looking at search trends on Google, insights from Google Consumer Surveys and top trending purchases Google Express to come up with a list of this holiday season’s hottest items. 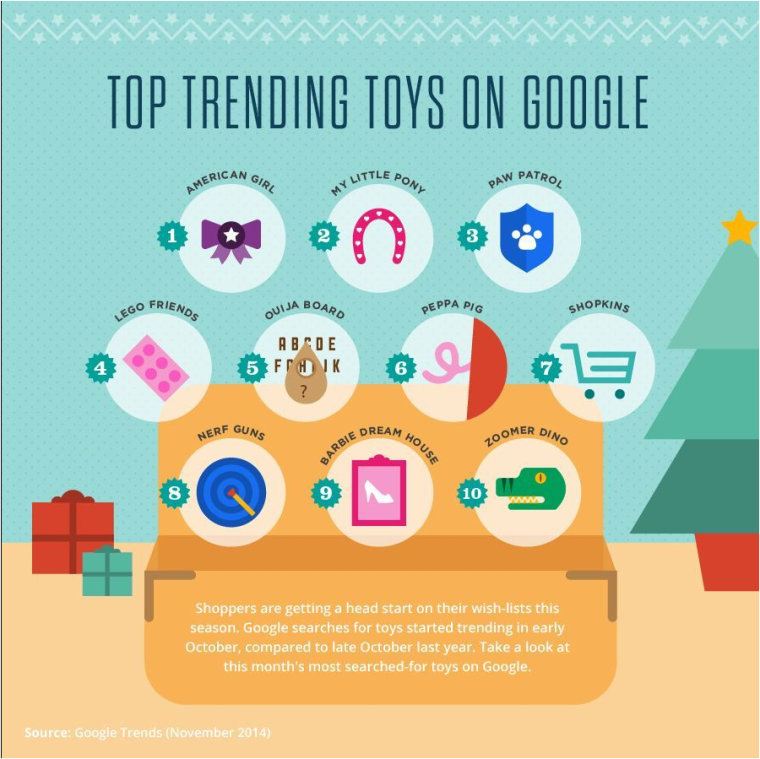 Game consoles and tablets are the top trending gifts on Google Shopping, with wearable technology like fitness trackers being on the rise. Retro toys are cool again. Thanks in part to the new movie “Ouija”, searches for “Ouija boards” are up 300% since October. Nothing feels more like the holidays than getting together with friends and family around a Ouija board, am I right? For what it’s worth, searches for “Barbie Dream House” and “My Little Pony” are up as well compared to last month. 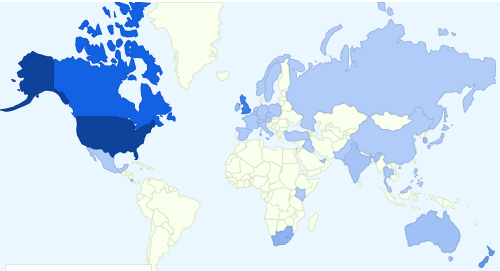 I wonder how many of those My Little Pony searches are coming from Bronies? As the weather gets colder, searches for “Hunting boots” and “Canada Goose jackets” top the list of trending apparel searches, up 46% and 140% respectively. A newcomer has entered the fold, as “jogger pants” are reportedly up 39% from October. If you’re an affiliate marketer, or an ecommerce store owner, hopefully those insights will help you rake in more sales over the next few weeks.